We are now selling the sought after Glass Candle Holder on willow saucer at a brilliant price. 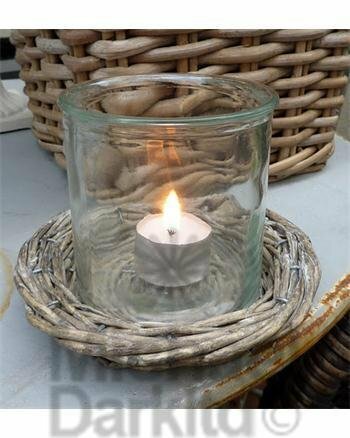 Don't miss out - purchase the Glass Candle Holder on willow saucer online today! Attractive candle holder on woven willow saucer.